What is responsible tourism and why does it matter? 2017 was the International year of sustainable tourism for development, and brought the ethical issues in tourism to the forefront of consumer’s minds. 2017 also saw the backlash against tourists grow in Venice, Barcelona and Dubrovnik and there is no sign of the issue of overtourism going away. This week has seen moves by the authorities in Amsterdam to curb certain unwanted activities from tourists. But what does responsible tourism mean? Tourism can have hugely negative effects on the host population, responsible tourism is sometimes seen as an issue for developing countries to manage, but it can equally affect developed nations. Responsible tourism seeks to redress that balance, and ensure that the negative impacts are mitigated, whilst the positive effects are exploited to their maximum. Responsible tourism covers three main areas, social, economic and environmental sustainability. How can I travel more responsibly? All inclusive is one of the worst things you can do when trying to be responsible in your travel. AI holidays generally tend to retain the profits in the country where your tour operator is based rather than in the host country, and the nature of AI holidays means that you aren’t out spending in local bars or restaurants either. Gambia attempted to outlaw AI holidays in 2000 but reconsidered the ban after a backlash from tour operators. By avoiding all inclusive, especially outside of the Eurozone, you may even find yourself saving money by getting off the beaten track and exploring the delights that the cuisine of your host country has to offer. Public transport is a great way to travel responsibly. Not only does the money you spend go straight back into the economy, it also improves transport facilities and infrastructure for the local community too. But using public transport isn’t just about social and economic sustainability, it has clear environmental benefits too, and it’s a great way to get a feel for a place. My favourite way to travel in India is by tuk-tuk or autorickshaw, it allows you to experience your destination in a much more up close and personal way than you do from the distance of a car. Public transport in some cities can even be an attraction in its own right, from the iconic yellow trams in Lisbon to the elaborate stations of the Moscow underground system, public transport can provide an insight into the beating heart of any city. Many activities tourists enjoy every day can be seen as unethical, so consider some alternatives! Want to see a tiger? Don’t go to Thailand and visit a tiger park for a selfie, head to one of India’s national parks and see them in the wild, for a shot that’s going to be truly Instagram worthy! Think twice about riding an Elephant at Jaipur’s Amber Fort, and instead head to Thailand for an up close and personal experience at Chiang Mai’s Elephant Nature Park, rated by Green Thailand as the most ethical elephant experience in Thailand. Closer to home, more than 12 million of us in the UK visited Portugal last year, so if you’re heading off for some summer sun with the family, rather than going to watch the dolphin show at Zoomarine, cool off at Slide and Splash, a nearby waterpark, or out on one of the many dolphin watching cruises from Albufeira and Vilamoura marinas. When you’re booking your trip, think about how you are spending your money, and is it going into the local economy? Consider locally owned hotels rather than multinational chains and visit local restaurants to sample the cuisine. The highlight of our trip to India was staying at a small independent hotel that we found on booking.com. The internet, and sites like booking.com make it really easy for us to access a wider variety of accommodation options that we might not have considered otherwise. AirBnb is another way of spending money in a way that benefits the host population, they are typically located away from main tourist centres, and so bring money to local businesses that might not otherwise benefit from tourism. However there are some drawbacks, the purchase of property specifically for short term rentals can inflate property prices, making it difficult locals to buy property, and in some cities, notably New York, Airbnb is illegal, and those who advertise on it where it is banned may well be acting unscrupulously in other areas such as safety and security. Even if you just do one of these things, it can make a difference. The biggest mistake people make in responsible tourism is believing that their one action won’t make a difference, if we all act together, we can create change. Some of the alternatives outlined here present their own responsible tourism challenges, and tourism can never fully be without impact, but what we need to try and do is choose the least harmful option when we travel. This really resonates with me. I remember visiting Pompeii while on my semester abroad in Italy and being so sad to see how the constant foot traffic had eroded so much of the archaeological site. Also love your point about avoiding the all-inclusives, I’ll definitely be keeping that in mind as I research honeymoon destinations in the Cook Islands! Some really great tips. 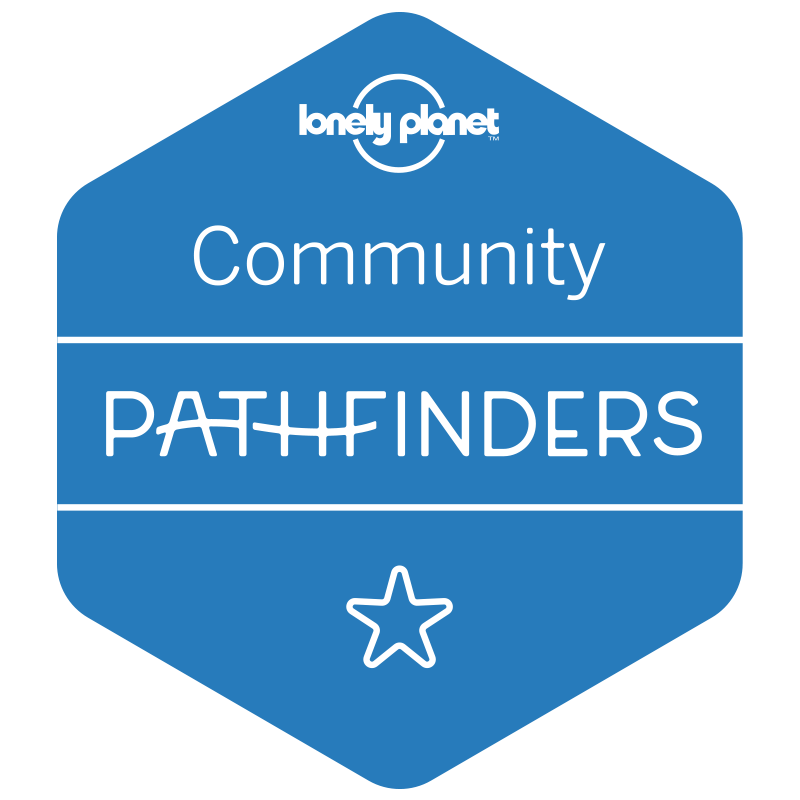 Thanks for creating an awesome resource to help promote responsible travel!